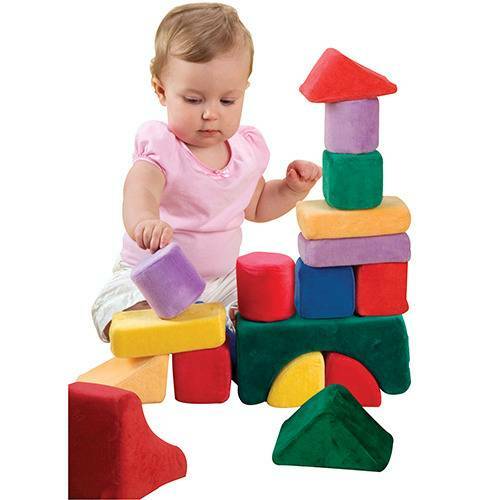 Largest block is 8" L. x 3" W. x 4" H.
Safe and soft, these 24 velour covered, foam blocks are perfect for beginning builders. Easy to stack, their bright colors and assorted shapes help develop shape and color recognition. Largest block is 8" L. x 3" W. x 4" H.